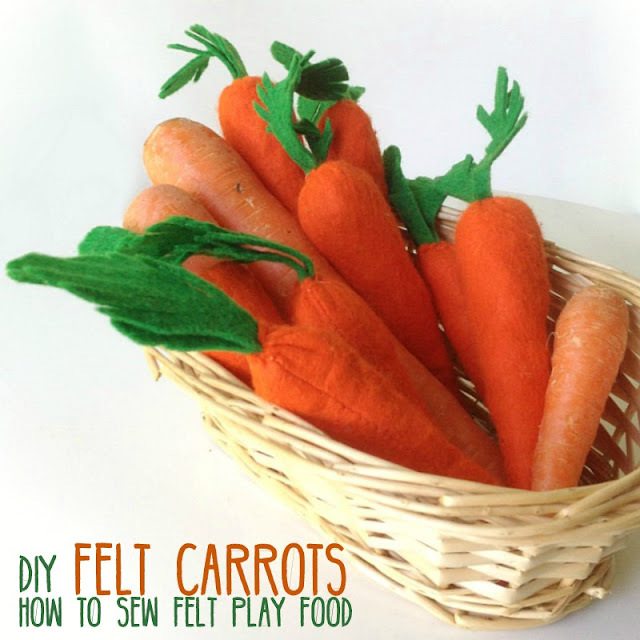 Felt Food - Free Template for Felt Carrots. 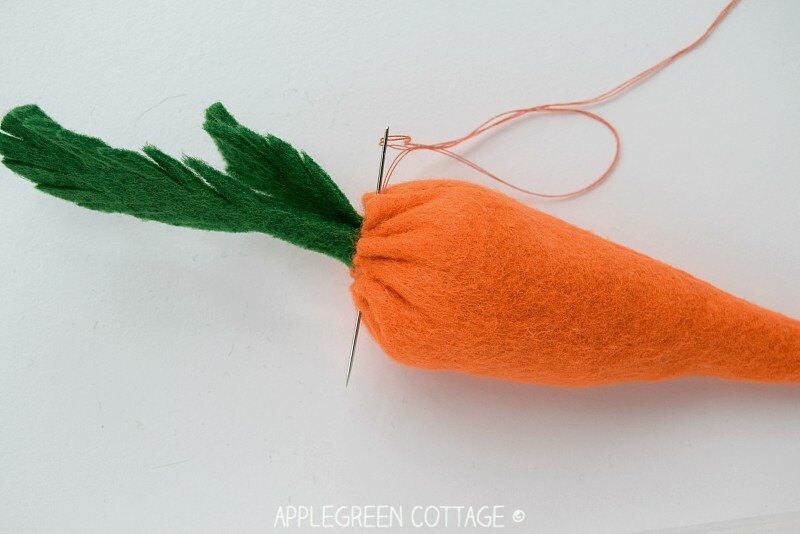 Learn how to make felt carrots, using this free template and tutorial. 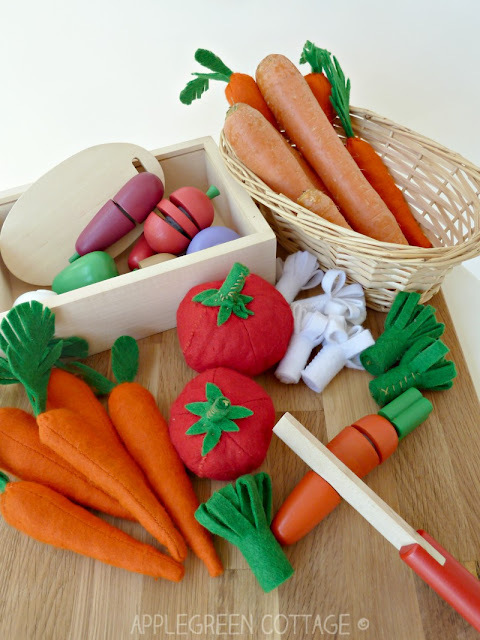 Do your kids love felt play food? 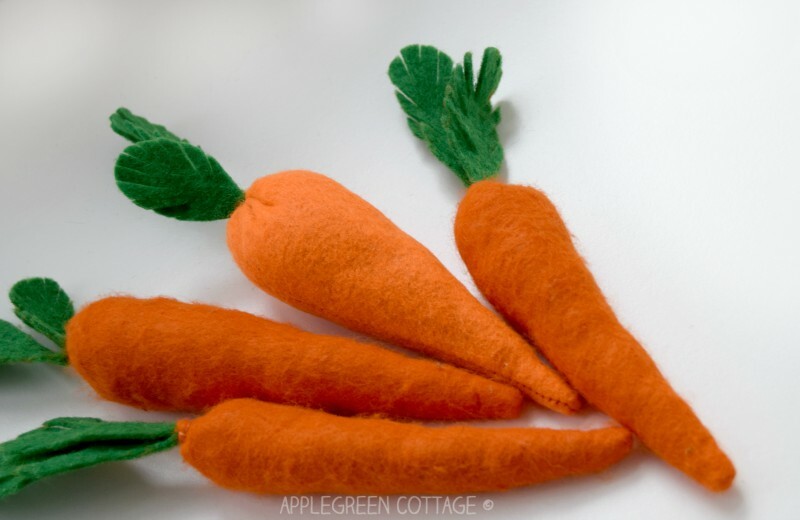 Make a few felt carrots using this tutorial to start your felt play food collection, and then check out my favorite 7 felt food tutorials I have for you. Easy and quick to make, this felt carrot tutorial comes with a free PDF template! 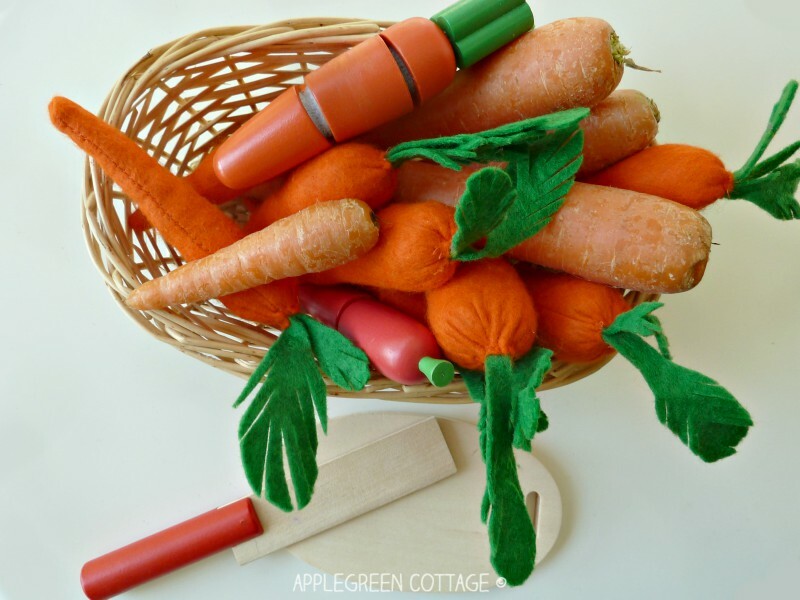 This time I'd like to show you how to make felt carrots to add to your felt play food collection. Boy it can be fun! 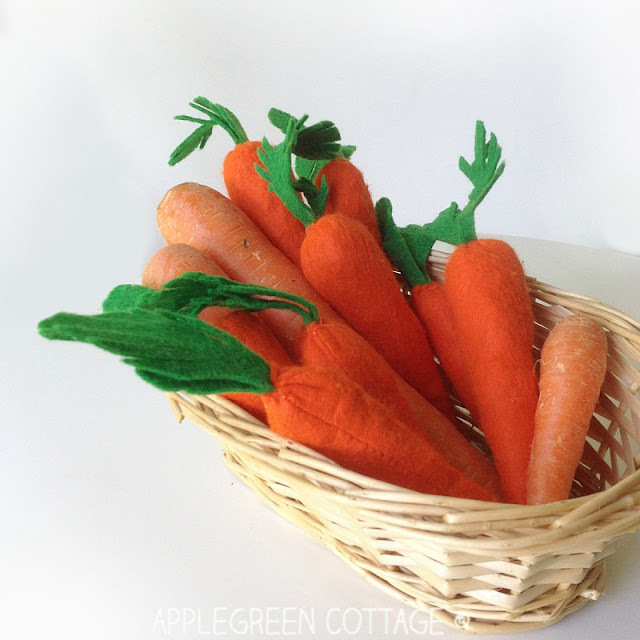 You can combine these carrots with some other felt food, like sunny-side-up eggs, cheese, bread, bananas, broccoli and tons of other felt food. 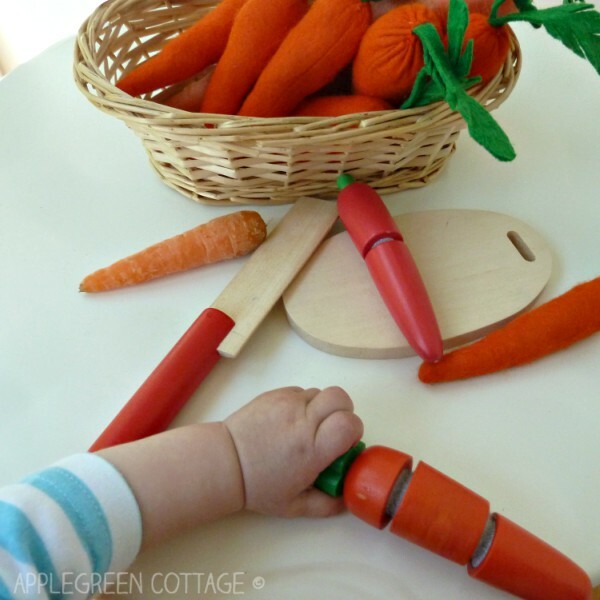 Wouldn't this make a wonderful DIY present for a child? 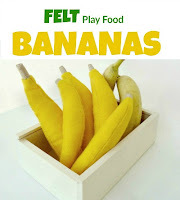 Check out my favorite 7 Felt Play Food Tutorials HERE. 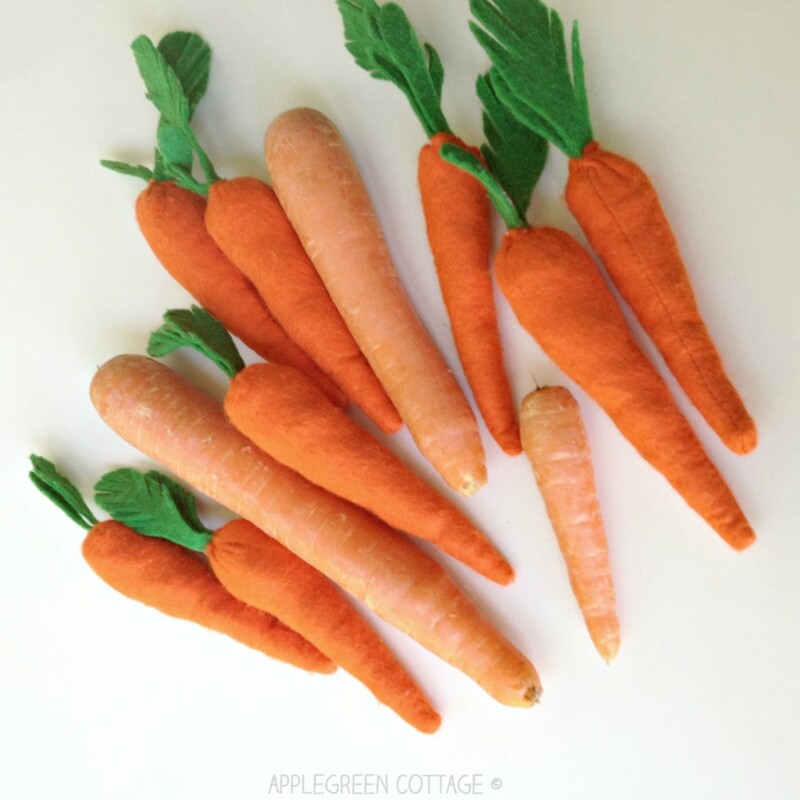 Now, let's get back to felt carrots tutorial. 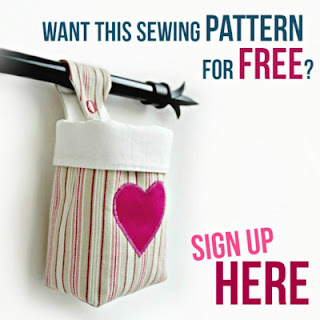 Newsletter subscribers get the password to access all my FREEBIES, and they are sent a pattern from my shop for FREE. Later on, you'll be able to twist them and they'll appear more realistic than what you see here. 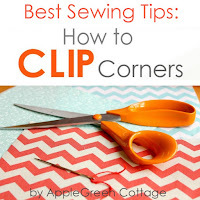 3) Next, take the orange piece, fold it as shown and stitch, making a cone. 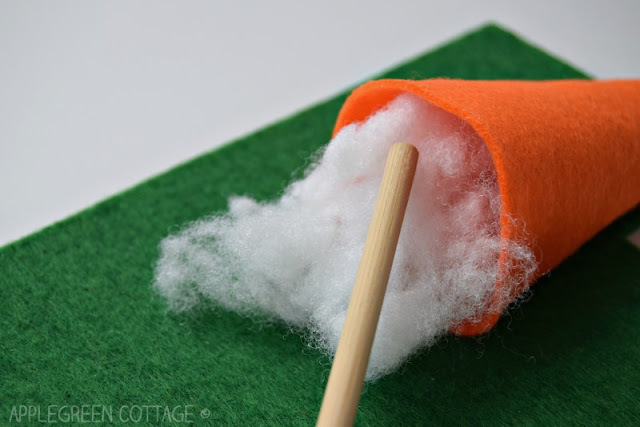 5) Turn the cone inside-out. 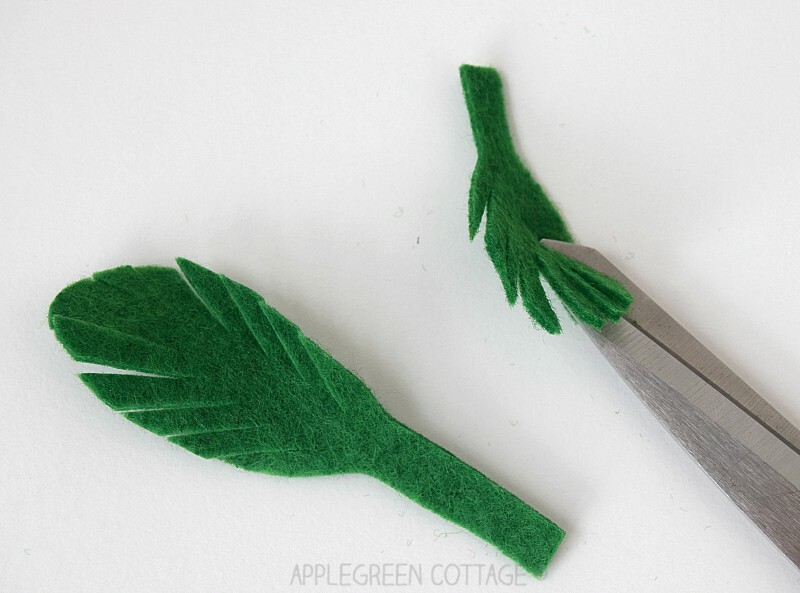 Then stuff with either toy stuffing, or use scraps. 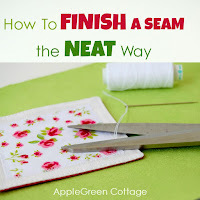 7) Insert the two green leaves and stitch them in place. 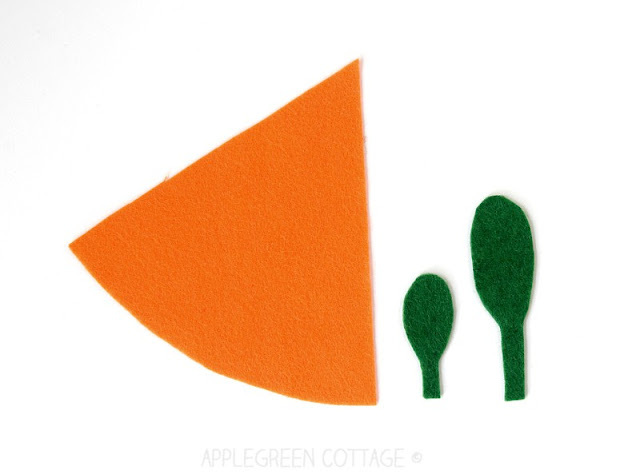 And then kids (and me) had a bit more fun with the felt food. In fact, my baby daughter took over the scene! 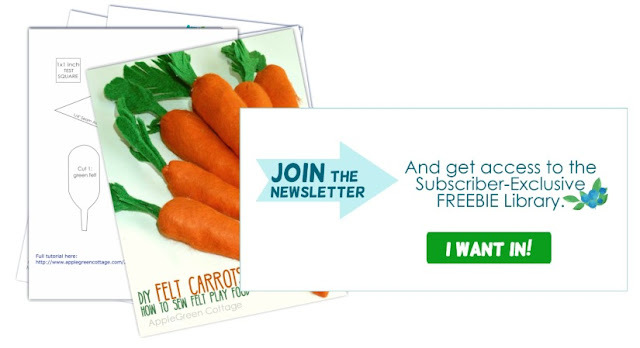 Not to mention the now four-year old, who immediately opened both a play food shop and a restaurant in the middle of the living room! 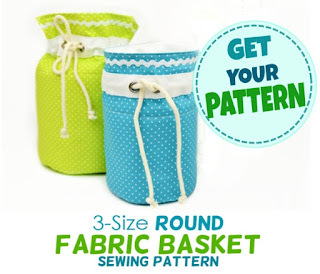 Or check out this sweet Round Basket Pattern in 3 sizes - perfect and practical Easter Home Decor and storage!